I had a unique opportunity to visit Molokai to network with other farm ladies a few weeks ago. Thankfully, I was able to flex my work to take the time to attend these events. I’ve never been there so it was a whole new experience. My flight over was very interesting to start as I was only one of 3 people traveling there. Being a small world, it was of no surprise that I knew one of my fellow passengers. We all walked on the runway to go up 3 steps into a 9 passenger plane. It was nice to be in this cozy plane. 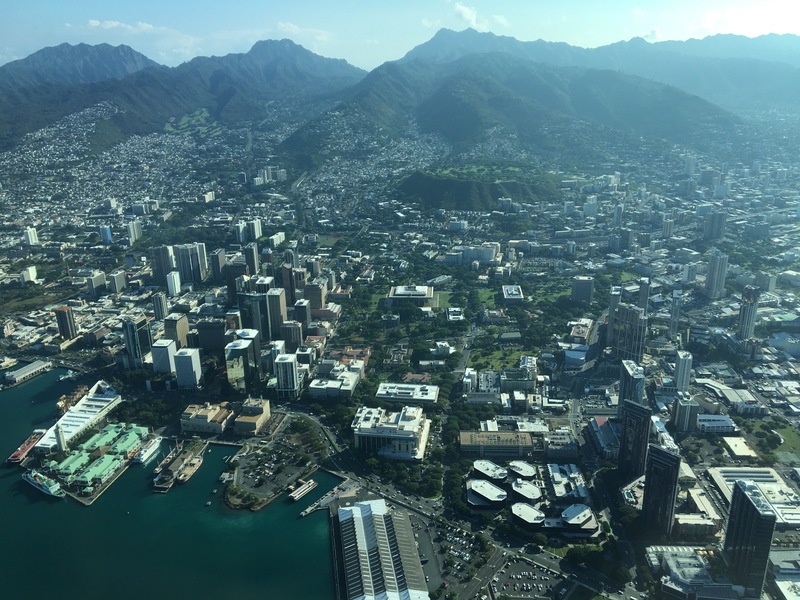 As we flew along the Honolulu coastline, I was struck by how many homes, buildings, and cars filled the beachfront to the valleys. The only open areas were the actual mountains. I realized that once the farmlands are paved over, they are gone forever. A way of living will be lost. As the plane made its way over the ocean, the striking cliffs of Molokai being pounded by crystal blue waves stood out. There were no lots completely covered over with development. There was only a few structures and lots of farms dotting the wide open landscape. It was actually peaceful to have a change of city life to return back to the country. The stark contrast of Honolulu to rural Molokai struck me. In this day and age, outside manipulators have targeted farmers with a false narrative that has created fear of farms. These people claim to love the aina but completely fail to recognize the consequences of what they are asking for. History shows us that farms will turn into development and the landscape is changed. Some people still want to believe that I am “speaking for industry,” but have no clue as to what keeps me speaking up for what farmers big and small do in Hawaii. I don’t care what way you choose to farm but the public needs to clearly understand what we will all lose if there is no real political will to support agriculture. We will lose a chance for the future generations to continue the lessons learned from those who came before us. Like the Hawaiians who went some 600 years not knowing their star navigation history, we will no longer have the chance to teach our children what it means to learn how they got to where they are. The clearer we can learn from the past and remember our roots, the better our path will be for the future. My ancestors paved a long and arduous path over a century ago when they left their homes. It was their brave decision that changed our family’s lives forever. For the sake of our keiki, we must appreciate the past and build upon what we learned. My kids deserve that chance to be farm kids and know their history. The pandering mode to loud, disinformed people will rob us of our history and steal a way of living. 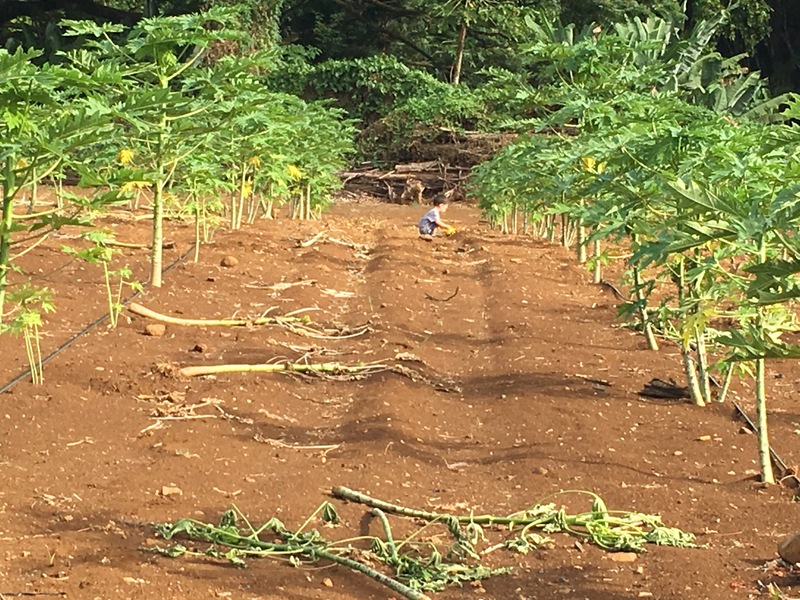 The time is now to support Hawaii’s agricultural roots. I’ll fight for what is right and continue to have our story heard. It’s been nearly 4 years since I started and unlike the anti-GMO crowd who move from one thing to another, I’m going to stand strong for agriculture in Hawaii. You can bet on that.